With fall right around the corner, I am feeling the need to start bringing in a few cozy fall touches here and there. 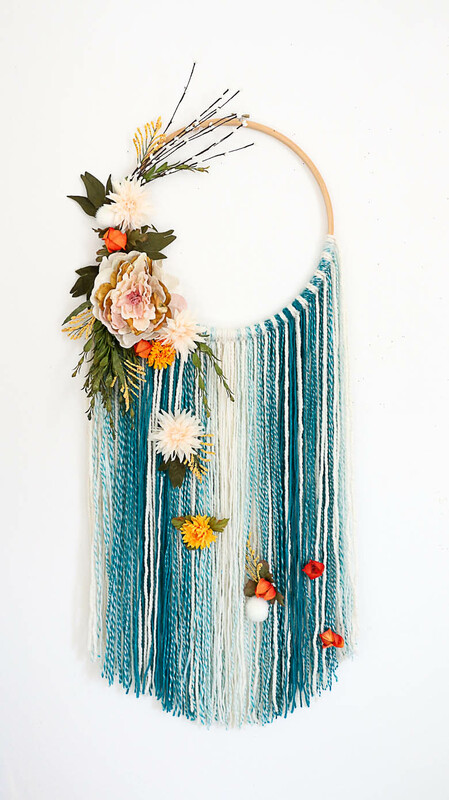 Hi, I’m Kara from A Kailo Chic Life and this DIY fall floral wall hanging was a snap to whip up and the colors of the fall foliage and the warmth from the yarn are making me ready for those cooler temps to start rolling in. 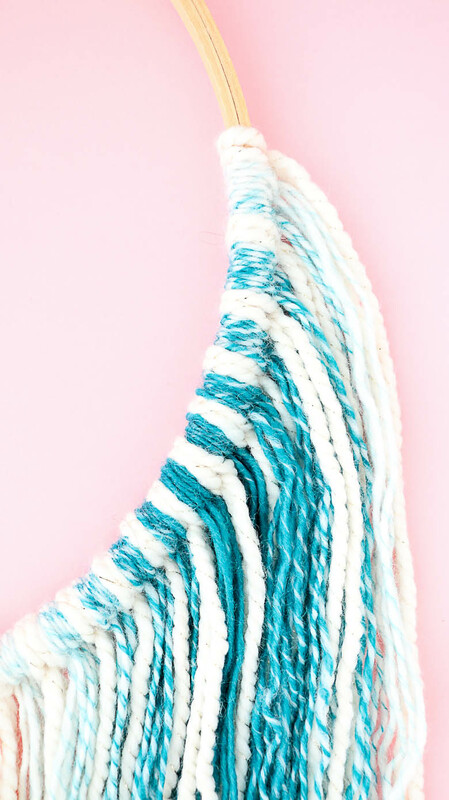 Begin by cutting 8’ strips of both yarns, folding in half and looping it around the embroidery hoop. Repeat this process alternating between the teal yarn and the cream yarn. 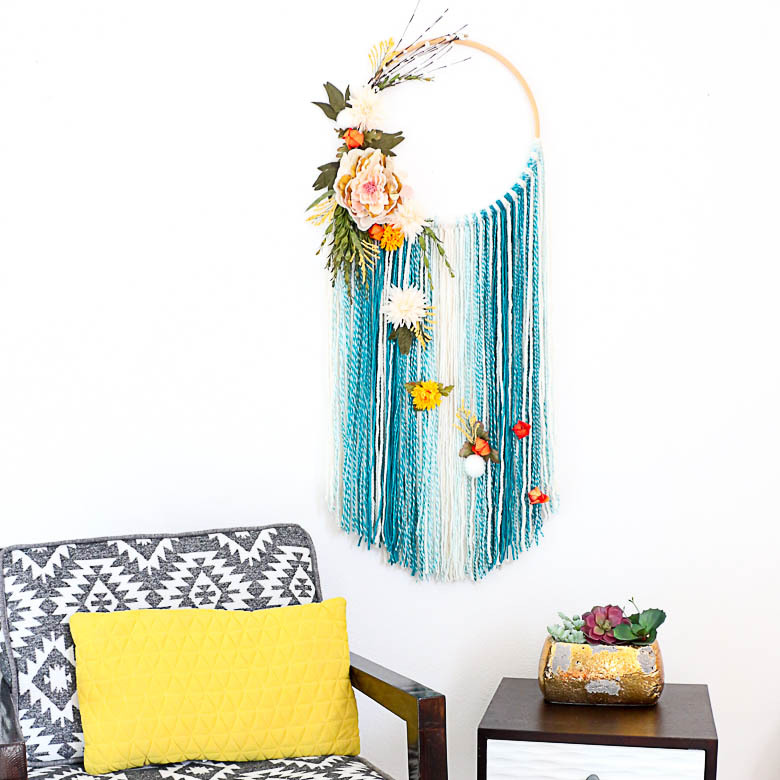 You will continue around the hoop until you have filled up the bottom half of the hoop with yarn loops. The last step is to use the hot glue gun to add on the flower details. Start with one center flower as the focal point and add in leaves, berries, and mini pumpkins as desired. I love the asymmetric look of having all the flowers off to one side, but feel free to add the flowers however you prefer. 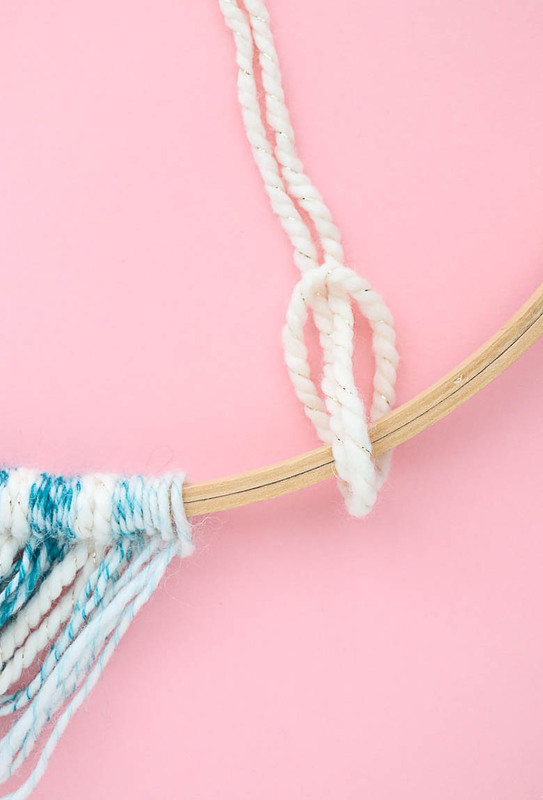 And don’t forget to glue on a few smaller pieces to the hanging yarn for a scattered effect. 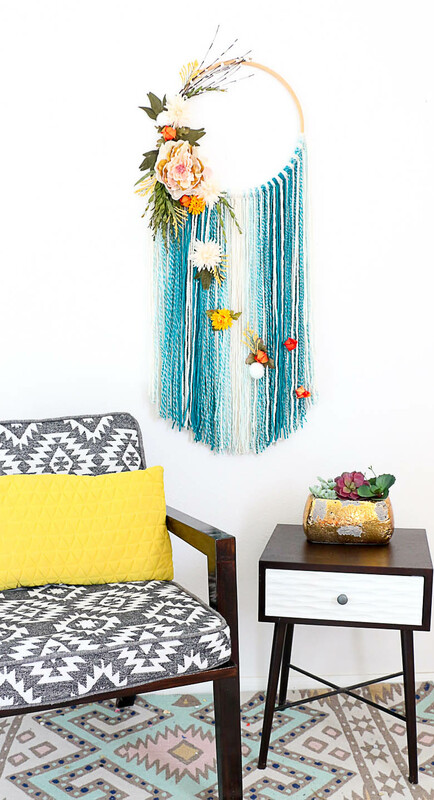 Once everything is glued in place, you can use a simple wall hook to display your large wall hanging wherever you need a cozy fall touch. 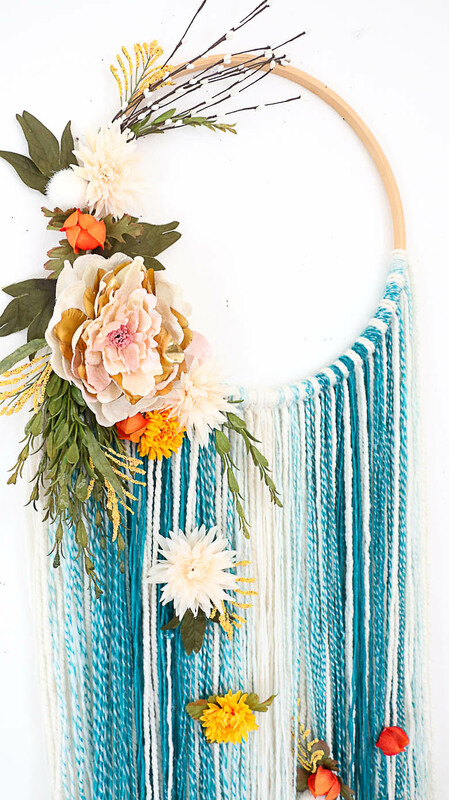 And if you have a covered front porch, you can even use this wall hanging in place of a wreath on your front door! Now who else is ready for fall to get here? !